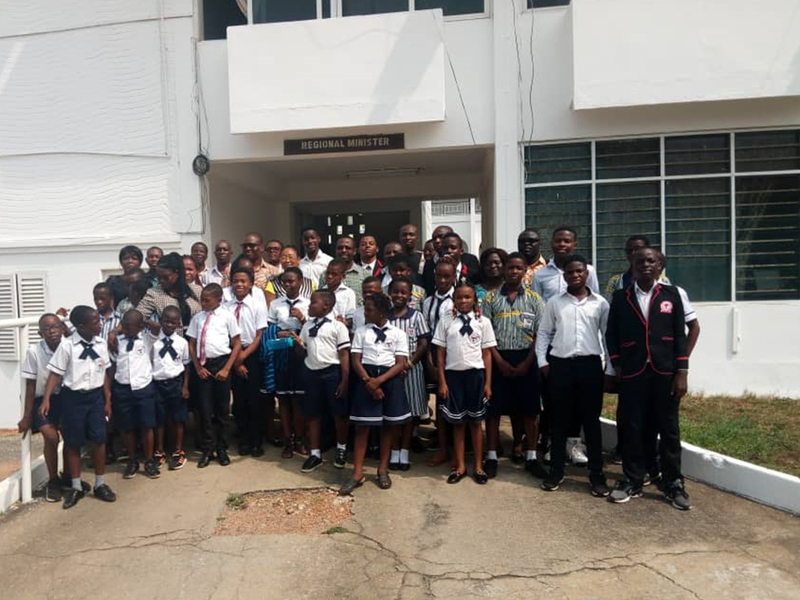 The Confucius Institute at the University of Cape Coast has inaugurated a Chinese Language Laboratory to promote the teaching and learning of Chinese language and culture. The Laboratory, also called HSK Centre, will also afford the Institute the opportunity to organise HSK Tests for students who hitherto write the test at the University of Ghana, Legon. Chinese Proficiency Test (HSK), an international standardized test of Chinese language proficiency, assesses non-native Chinese speakers’ abilities in using the Chinese language in their daily, academic and professional lives. The state-of-the-art Centre, supported by the Hunan University, China, also has a library stocked with over 3,000 books and a 30- seater classroom. Speaking at the inauguration, the Vice-Chancellor, Prof. Joseph Ghartey Ampiah, expressed satisfaction with the giant strides made by the Institute and noted that the Laboratory would enhance the teaching and learning experience of students. He encouraged students to patronise the Centre and make good use of the equipment so as to prolong its lifespan. The Vice-Chancellor indicated the readiness of management to support the Institute to grow on campus. The Ghanaian Director of UCC Confucius Centre, Prof. Ishmael Mensah, expressed gratitude to Hunan University for providing assistance for the facilities. He also thanked management of the University especially the Vice-Chancellor, Registrar, Provost of the College of Humanities and Legal Studies and the Director of the Centre for International Education. Prof. Mensah said the laboratory and library would boost the learning and teaching of the Chinese Language. "These facilities have come at the right time because the Institute will soon run a Bachelor of Arts in Chinese Language,” he noted. For his part, the President of Hunan University, Prof. Li Jianqui, expressed delight at the new facility and advised Ghanaian students to study the Chinese language to the best of their abilities. He explained that there were lots of opportunities for students who study the Language and advised them never to underestimate the Chinese Language. Prof. Jianqui reiterated his institution’s continuous support for the Confucius Institute at the University.